‘Oumuamua’ which was first spotted in 2017 has been the subject of much speculation. One major theory backed up by Harvard researchers even claims that it is an alien spaceship. Have aliens finally found us? Harvard’s top researcher seems to believe so. The paper was authored by Shmuel Bialy and Abraham Loeb. Loeb just happens to be the chairman of Harvard University’s astronomy department. And six months down the line from the paper being published, he is convinced that Oumuamua is an alien probe. In a Scientific American article, he listed six strange facts about the object. But what is the ‘object’ in question here, Oumuamua, really? Here’s what we know of it so far. If you Google ‘Oumuamua,’ the official Wikipedia page will tell you that it’s classed under the category ‘comet,’ but researchers, including from Harvard, will argue that maybe it could have been an alien probe instead. 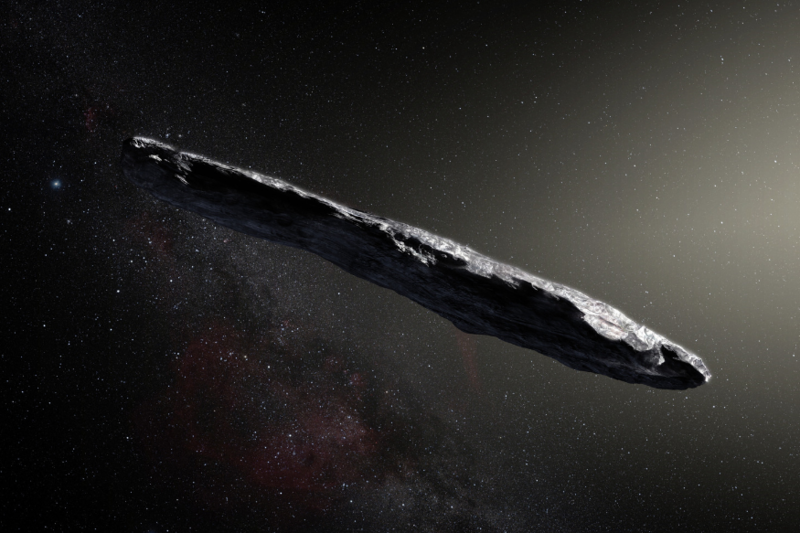 ʻOumuamua’ which means “a messenger that reaches out from the distant past” in Hawaiian, is the first ever ‘interstellar object’ ever detected passing through the Solar System. It is formally designated 1I/2017 U1, and was discovered by Robert Weryk using the Pan-STARRS telescope at Haleakala Observatory, Hawaii, on 19 October 2017, 40 days after it passed from its closest point to the Sun. An ‘interstellar object’ is a broad definition – it is anything other than a star or sub-star, that is located in interstellar space and is not bound by the gravitational pull to a star. It also classes objects that are on interstellar trajectory but are temporarily passing close to a star, such as certain asteroids and comets.